It’s been said that racing improves the breed, and when it comes to the Chevrolet Corvette, nearly six decades of checkered flags are the proof. As Corvette marks its 60th anniversary in 2013, the design of the chassis, suspension and other drivetrain features are rooted in the rigors of competition. For the production Corvette ZR1, the racing influence is also evident in the rear transaxle design that helps achieve a near-perfect 51/49 weight distribution, as well as the racing-developed carbon ceramic brake rotors and Michelin® Pilot® Sport Cup Zero Pressure tires (developed by the same Michelin engineers who developed tires for Corvette Racing in the American Le Mans Series). These features contribute to the ZR1 running Germany’s legendary Nürburgring in 7:19.63. Learn more about the history of Corvette and the current model year at Purifoy Chevrolet. Chevrolet Corvette will be the featured marque next August at the 2013 Rolex Monterey Motorsports Reunion, where historic race cars annually come to the Mazda Raceway Laguna Seca track to relive the sights, sounds and smells of racing days gone by. Corvette’s recognition in Monterey, Calif., will come during its 60th anniversary model year, and a large contingent of Corvette racers is expected representing each of the car’s six generations in competition. Corvette also was the featured marque in 2002. It’s a scientific fact: Low weight plus high horsepower equal exhilarating performance. 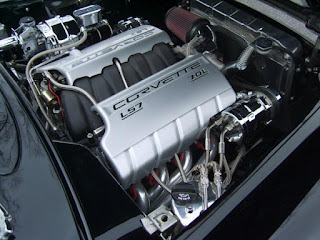 That combination has defined the Corvette for six decades, as increasing power output matches the use of advanced materials to minimize curb weight. The 2013 Corvette Z06 exemplifies that philosophy. With a curb weight of only 3,199 pounds (1,451 kg) and 505-horsepower (377 kW), it is not only one of the lightest sports cars available in America, it has one of the best power-to-weight ratios of 6.33:1. That’s better than the Aston Martin DBS (7.5:1 – 510 horsepower/3,836 pounds), Porsche 911 Turbo S (6.7:1 – 530 horsepower/3,561 pounds) and Nissan GT-R (7.1:1 – 545 horsepower/3,887 pounds). Corvette’s use of advance materials began in 1953, when the first Corvettes were produced with all-fiberglass bodies. Every Corvette since has featured a composite-material body. Read entire article here. 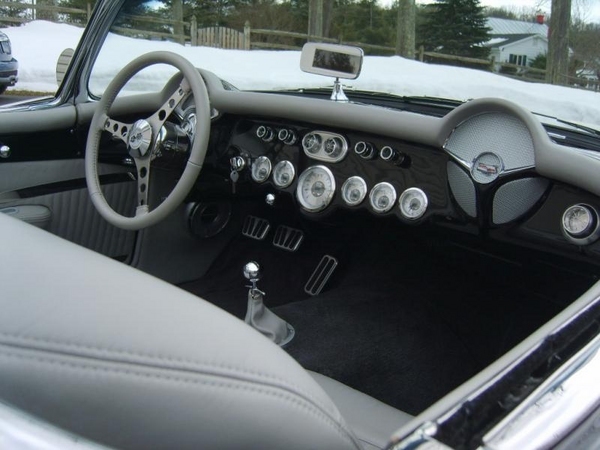 The article explains the progression of materials used throughout 60 years of Corvette. Stop by the Purifoy Chevrolet Indoor Corvette Showroom to learn more about the Chevrolet Corvette and see their variety of new and pre-owned Corvettes. 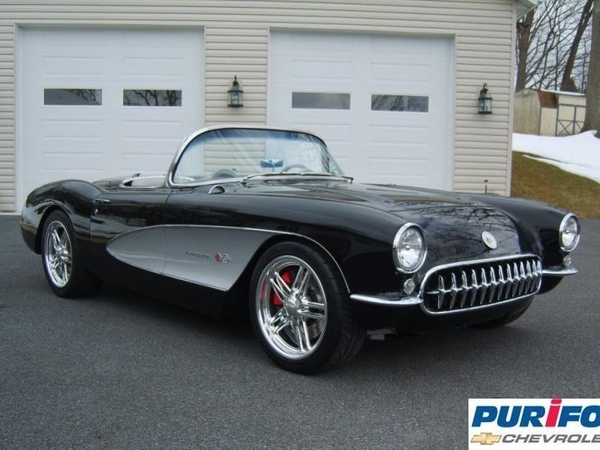 Purifoy Chevrolet is pleased to offer this custom 1957 Corvette in black & silver! From every vantage point, this car will catch your eye! If power is your game,underhood sits a GM LS7 crate engine at 505 horsepower!The same engine powers Chevrolet's awesome C6 Z06 Corvettes! Ask us about this stunning 57 Corvette that incorporates timeless styling with today's power-train performance!! Stop by the Purifoy Chevrolet Indoor Corvette Showroom for more details on the Chevrolet Corvette! Great video with Rollie Purifoy - owner of Purifoy Chevrolet! Video was taken at one of the biggest car shows in Colorado - Concours d'elegance! Visit Purifoy Chevrolet to learn more!